For many years, ISTP has received accreditation from the California Association of Independent Schools (CAIS) and the Western Association of Independent Schools and Colleges (WASC). In 2009, ISTP was granted a 6-year accreditation (the longest term possible at the time). This coming year, ISTP will prepare for a new round of accreditation in 2015, through an extensive process of self-study. 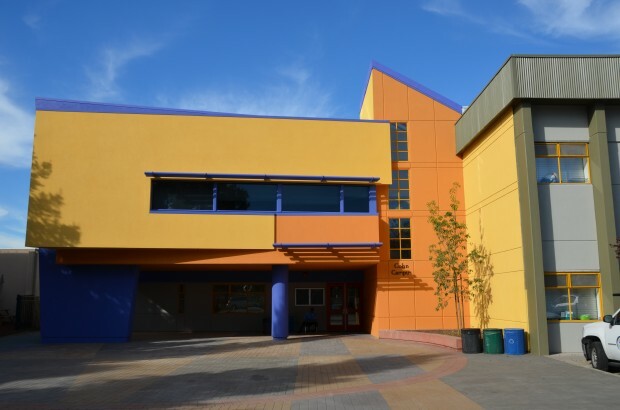 The purpose of the accreditation process is to evaluate how well a school lives up to its stated mission, and how effectively it meets the 16 standards laid out by CAIS and WASC. These standards assess a school’s competency in the areas of teaching and learning, financial sustainability, operations, institutional stewardship and leadership, and institutional improvement and sustainability. However, the accreditation process is much more meaningful than just ticking off a list of criteria. The process allows a school community to engage in deep self-reflection and to clearly articulate how it is performing in all areas of school life. The process is even more important for bilingual schools like ISTP, because it validates the quality of our unique educational process. Recently, I had the privilege to be part of the accreditation team for a school in Santa Cruz. The school was much different than ISTP because it was a High School for students with learning differences. Still, the experience was invaluable because it allowed me to see firsthand the different strategies and methods a school can use to fulfill its mission. In February, I am excited to be chairing the accreditation committee for the Escuela Bilingüe, a Spanish-English bilingual school in Oakland. Serving as chair will no doubt be great preparation for beginning our own accreditation process, and I am looking forward to guiding them towards successfully fulfilling their own mission. As part of ISTP’s preparations for accreditation, teachers, administrators, and board members will collaborate to compile an extensive report (a few hundred pages in length) on the entire school. The CAIS/WASC accreditation process, which has recently been redesigned and revamped, is very rigorous, and will create additional work for many members of the school community. However, it also gives us the valuable opportunity to take a step back and look at the school from the outside. It allows us to identify strengths and challenges, and to consider which projects the school should prioritize in the next few years. In the process, ISTP will become a better learning institution. For these reasons, I truly look forward to beginning the accreditation process once again in 2014.